We are often asked questions about how best to care for cats. This is a very long answer, so we have decided to share with you the best information that we know of. All of the following not only have a veterinarian’s seal of approval, but they also all have high customer/user ratings. Please note that some of the links below are affiliate links, and at no additional cost to you, this site will earn a small commission if you decide to make a purchase. 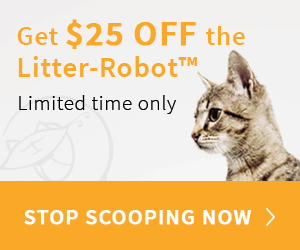 Exclusive offer for catnamescity.com visitors: Save $25 when you buy through this link!